Vehicles are ways of transportation that let people travel between the eight islands and many maritime landmarks that are in the Hawaiian archipelago. While most of the vehicles were completely destroyed during the Great-War several ones managed to survive as great number of ships and planes were in the sea or sky during the nuclear barrage and were spared from the atomic fire. 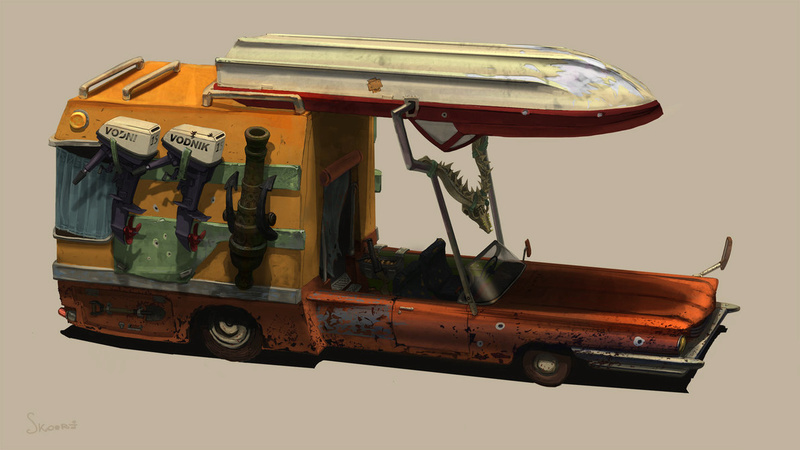 Some vehicles are ample enough as to serve as Safehouses. During combat when vehicles reach 30% of their total HP they will cease to work and will require to be repaired, if a plane is in mid-air when this happens it can prove fatal. 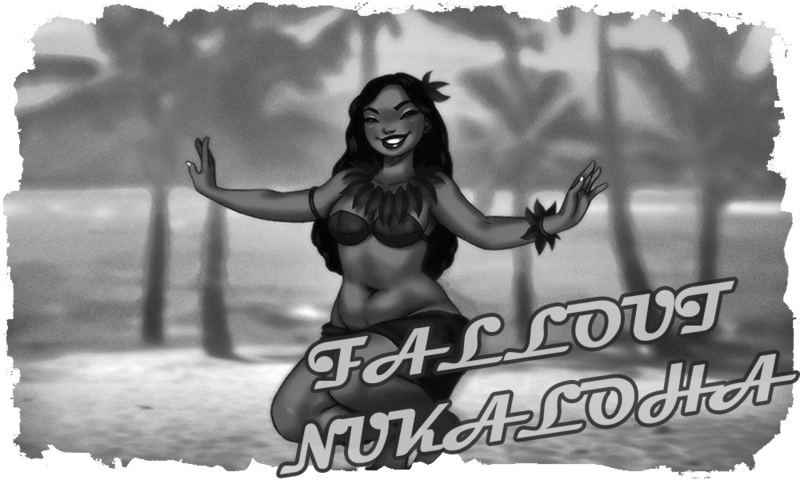 If your crew has a Mechanic then it will be able to repair it, if not then you will have to contact the Sons of Kanaloa who will come with a ship and will charge you for the towing and the following repairing. The Sons of Kanaloa can only be called outside of combat, they won't come during a combat scenario unless you are a member of their faction. 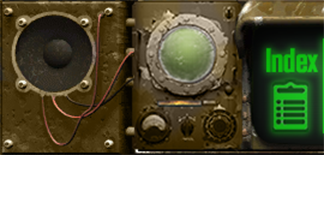 If a vehicle's health is above 30% HP then it will be able to continue working, unless the engine has been destroyed. If one reaches a safe zone and you have a Mechanic in your crew then it will be able to safely repair the vehicle. If one reaches a safe area controlled by the Sons of Kanaloa then their repair drones will work on the vehicle for free. If a vehicle reaches 0% of their total HP then it will explode and it won’t be able to be repaired, a new one will need to be bought. 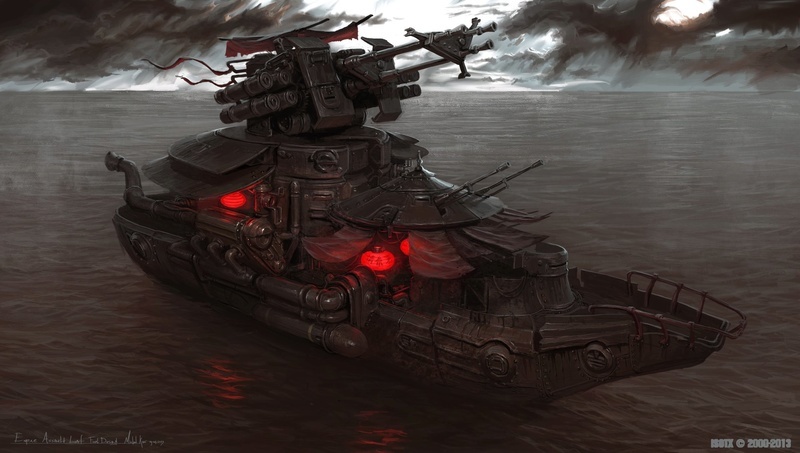 Description: This old Chinese vessel was designed to infiltrate in American waters and use missiles to shoot down all the airships and vertibirds that they could find. Even if its weapons were designed to eliminate flying targets it can also be used to shoot other ships or even land targets. It lacks close weapons so it cannot truly defend itself if an enemy gets too close. Minimum: 1 pilot & 1 machinist. Optimal: 1 pilot, 1 machinist, 1 engineer, 1 gunner, 1 cook & 1 doctor. Attacks: Can only attack if the Gunner is on Board. Missiles need to be bought and loaded before combat. Each missile costs 200 caps, the ship can carry up to 12 missiles. It will need to reload every 4 missiles. It takes 3 turns to reload; this can be reduced to 2 with an engineer. 0-10: The weapon jams until the two turns, with an engineer on board this is reduced to only one turn. 25-50: The missile is defective and explodes before impacting It does 100 HP of damage. 51-75: The missile manages to hit your target. It does 250 HP of damage. 76-99: Critical attack, removing 500 Hit Points. 100: Extremely critical attack. Doing 1000 HP of damage. Capabilities: These can only be used with an Engineer or a Machinist on board. Invisibility: Requires having an engineer on board to use it. The ship can use some light refracting technology to become completely invisible for three turns. During this time the ship cannot use its engines or shoot. 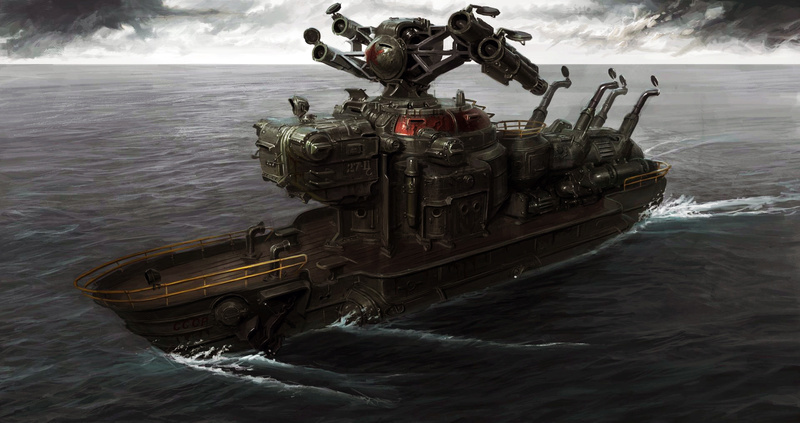 Anti-Air Specialist: This ship was specially designed to take down air transports. It will have a +20 bonus to all attack dice rolls against air vehicles. Radio: This vehicle has a radio on board that can be used to communicate with other vehicles, people or settlements or settlements and also listen to music. Kitchen: Requires having a cook on board to use it. The ship has a water purifier and a small kitchen that along with some fishing rods can be used to catch fish and cook them. 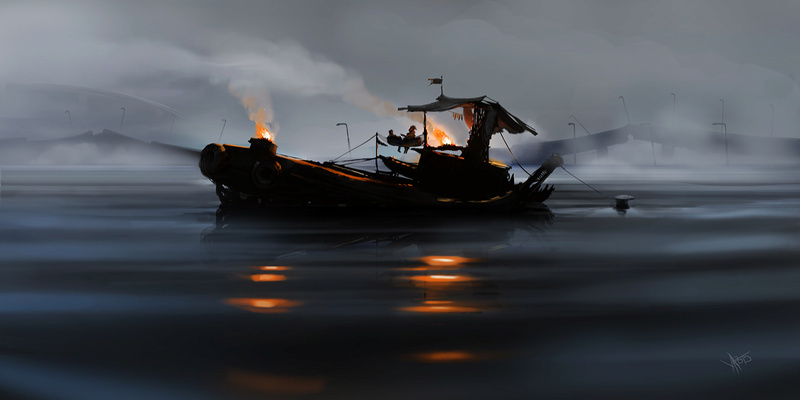 The cooked fish will maintain players alive and nourished, if the Kitchen is destroyed the players will start to lose HP and gain RP and IP due to the lack of food and water purification. Full throttle: Requires having a machinist on board to use it. The ship can burn its nuclear reserves to gain a massive bonus to speed. It can be used to flee from enemies or the inverse, ramming them. If the ramming is successful each player will require doing a 2d100 to see how many damage each receives. This can be done as much as one wants but after five uses the nuclear core of the ship will start to become unstable and might explode, each consequent use after the fifth use will increase the risk of explosion in 25%; the core will cool down and stabilise on its own after two weeks of regular use or a week of no use. Meltdown: Requires having an engineer on board to use it. The ship’s core can be overcharged to make it violently explode, doing 5d100 of damage. This can be coupled with Full Throttle to turn the ship into a nuclear missile of some sort. If the ship is destroyed it will explode too. Description: : This strange vehicle is a heavily modified car that has been made into a boat, due to the modifications and added weight it cannot run on land anymore. They originally had been made out of pure necessity as the people required methods of travelling between the islands and had to use all the junk that they found around. Nowadays the Sons of Kanaloa build them for the adventurers who want to explore and don’t have many caps. Optimal: 1 pilot, 1 machinist & 1 engineer. Attacks: This ship has no offensive capabilities. The people on board will have to defend themselves with the weapons that they carry. 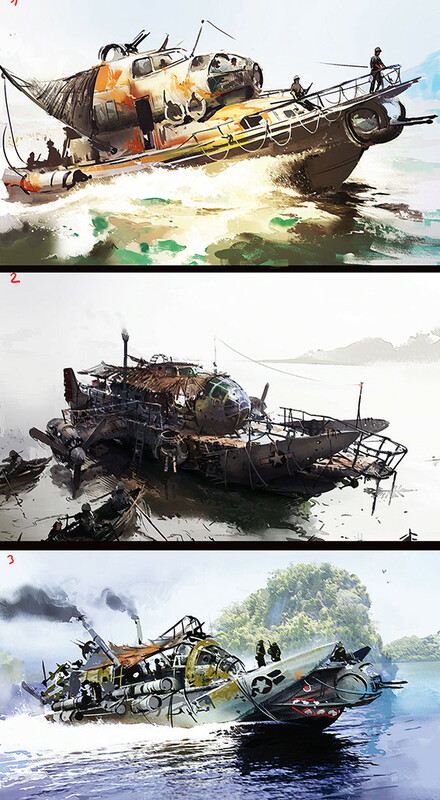 Description: Ships made from junk, scrap metal and debris. They are designed to be as light and small as possible to allow exploration and quick raiding attacks. 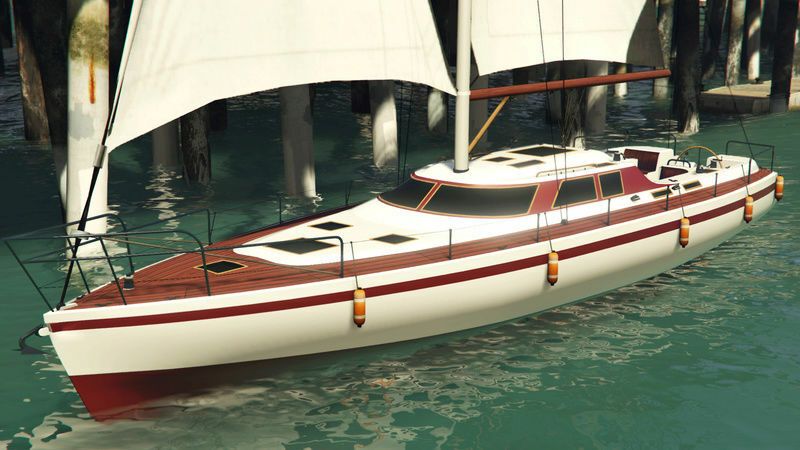 Most pirate captains know how to build one, but still since the Sons of Kanaloa have no problem in working with Raiders and Pirates they also sell these kind of ships in Pirate controlled areas. Optimal: 1 pilot, 1 machinist, 1 engineer & 1 gunner. Attacks: The ship can only attack with the gunner on board. It has a belt fed machine gun installed on top. The machine gun has a 200 bullet magazine and it can only carry 3 magazines. It can shoot single bullets, streams of 50 bullets or discharge the entire magazine at a single time. Single bullet requires a 1d100 dice roll, stream requires a 50d100 dice roll and the entire magazine a 200d100 dice roll. If during the discharge of bullets the weapon jams the subsequent dice rolls are not taken into account. It takes 2 turns to reload the machine gun; this is reduced to 1 turn with an engineer on board. 25-50: The bullet scrapes your enemy, doing 30 HP of damage. 51-75: The bullet manages to hit your target. It does 70 HP of damage. 76-99: Critical attack, doing 90 HP of damage. 100: Extremely critical attack. Doing 180 HP of damage. Radio: This vehicle has a radio on board that can be used to communicate with other vehicles, people or settlements and also listen to music. Description: Some people prefer to live on the sea instead of on land. These boats are big enough to serve as Safehouses while also allowing their users to move between islands and landmarks. Minimum: 1 machinist or 1 pilot. Optimal: 1 pilot, 1 machinist, 1 cook & 1 engineer. Attacks: This ship lacks any offensive capabilities; the crewmen will have to defend themselves with their own weapons. Mobile home: This ship is special because it’s a safe house. It can have all the safe house upgrades installed onto it. Description: Even before the war, before people lived surrounded by filth and death, this ship was extremely expensive and a symbol of status and economical affluence. Now 250 years after the Nuclear War these ships have become even rarer and harder to obtain. Optimal: 1 pilot, 1 machinist, 1 cook & 1 doctor. Attacks: This ship lacks any kind of weaponry; the crewmen will have to defend themselves using their own weapons. Status: This ship has continued to be a symbol of high status and money even well after the war. Possessing it will grant all the crewmen +2 CHA. Description: This Chinese ship was used Pre-War to defend their submarines and fight against enemy ships. It has a heavy machinegun and two regular machineguns mounted. Like other Chinese ships it has stealth technology that can turn the entire ship invisible for some time. Optimal: 1 pilot, 1 machinist, 1 engineer, 3 gunners, 1 cook & 1 doctor. Attacks: Can only attack if the Gunner is on Board. 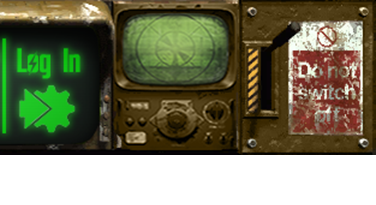 Heavy Machinegun: This weapon has been installed to attack other airships and people. It has a 500 bullet magazine and it can only carry 3 magazines. It can shoot single bullets, streams of 100 bullets or discharge the entire magazine at a single time. Single bullet requires a 1d100 dice roll, stream requires a 100d100 dice roll and the entire magazine a 500d100 dice roll. If during the discharge of bullets the weapon jams the subsequent dice rolls are not taken into account. It takes 2 turns to reload the machinegun; this is reduced to 1 turn with an engineer on board. 25-50: The bullet scrapes your enemy, doing 50 HP of damage. 51-75: The bullet manages to hit your target. It does 100 HP of damage. 76-99: Critical attack, doing 170 HP of damage. 100: Extremely critical attack. Doing 340 HP of damage. 2X Machinegun: It has a belt fed machine gun installed on top. The machinegun has a 200 bullet magazine and it can only carry 3 magazines. It can shoot single bullets, streams of 50 bullets or discharge the entire magazine at a single time. Single bullet requires a 1d100 dice roll, stream requires a 50d100 dice roll and the entire magazine a 200d100 dice roll. If during the discharge of bullets the weapon jams the subsequent dice rolls are not taken into account. It takes 2 turns to reload the machinegun; this is reduced to 1 turn with an engineer on board.